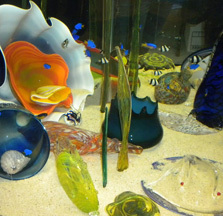 was founded in 1981 by a group of local San Diego County glass artists wanting to promote interest in and educate the public about all types of glass art. We have two annual organizational meetings and try to have one monthly event or workshop for members. We publish a quarterly newsletter which promotes classes, workshops, gallery openings and Art Glass Shows in the San Diego County and North County areas. Our Newsletter highlights recent AGASC events and also contains articles submitted by our members sharing their experience at workshops and national events. Be sure and check our calendar for upcoming events. 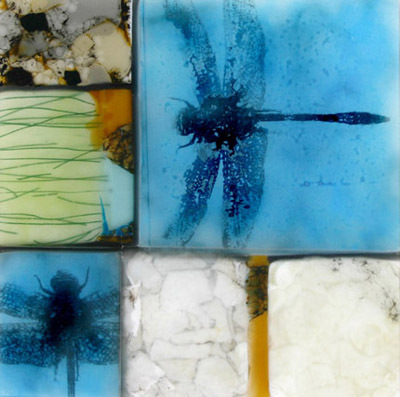 Our website keeps you current with glass information and workshops. AGASC sponsors an annual juried art show which is open to all AGASC members. teach and sell their products through our Art Glass Guild in the Spanish Village Center for the Arts at Balboa Park, Studio 25. Studio hours are 11AM-4PM daily. Phone (619) 702-8006.